Interested in Culinary Arts? If your answer is YES, read on! 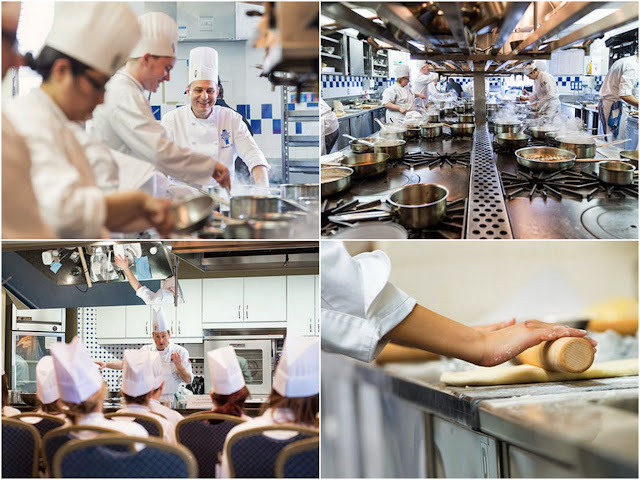 Le Cordon Bleu Ottawa Culinary Institute is among the premier facilities of its world-renowned international network of culinary schools - it is Canada's only campus for Le Cordon Bleu. A worldwide leader in gastronomy, hospitality and management, the focus of their curriculum is the mastering of classic, fundamental techniques required to succeed in any genre of cuisine, in any part of the world. Students from all over the world, representing more than 70 nationalities, find a common bond there in their passion for the craft of fine food. Le Cordon Bleu Ottawa Culinary Institute will be hosting a free bilingual demonstration and Q&A in Toronto. 5. Worldwide reputation for culinary excellence and rich tradition of education that stretches back over 100 years. You will also get to witness a demonstration from one of their Master Chef and have a chance to talk to the admissions team. REGISTER NOW to attend this free bilingual demonstration and Q&A event!